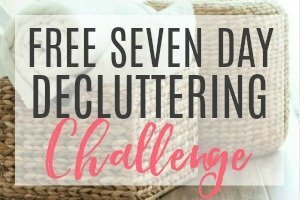 jumpstart your decluttering in just 30 minutes a day! Inside: Looking for some easy ways to clean your house? 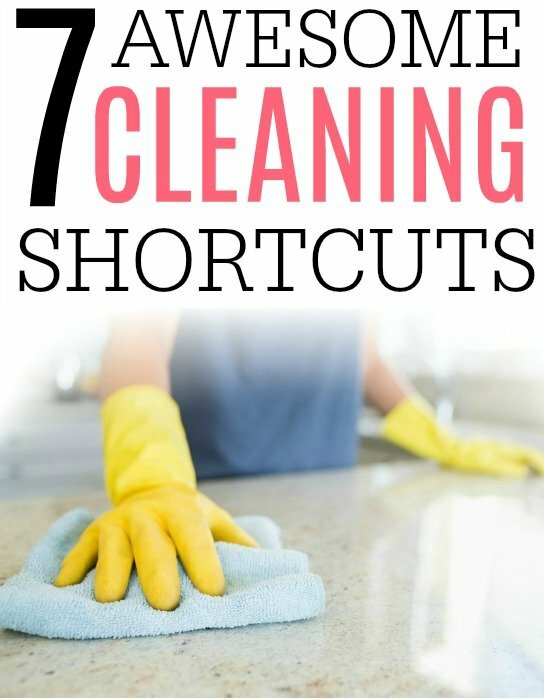 Check out these seven awesome cleaning shortcuts. They help you clean the house fast. Although I love a clean home I don’t love spending my whole day cleaning the house. I would rather get a clean house fast and get on with my day. I am always looking for that easy way to clean the house that will save me some time and yet still get the job done. Cleaning shortcuts don’t mean you don’t get the house cleaned or laundry done. 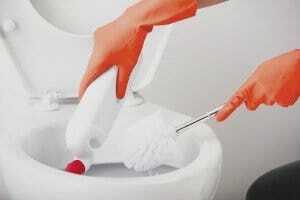 It just is easy ways to clean your house faster and better. 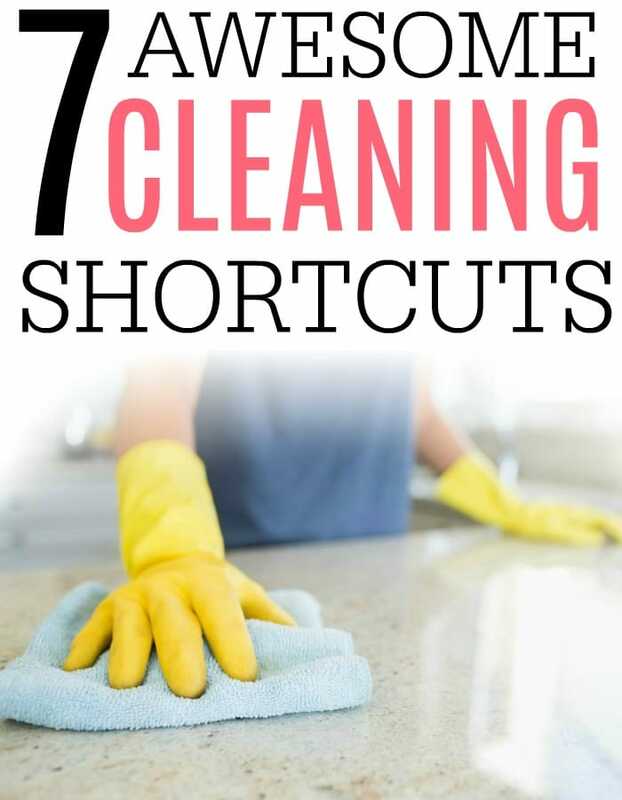 If you want some extra time in your day but you still want a clean house check out these awesome cleaning shortcuts. Forget using a separate cleaner for the bathtub, sink, and toilet. Using a good all-purpose cleaner will save you so much time. 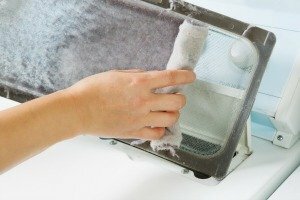 Just grab the one bottle and a microfiber cloth and you can clean just about anything around the house. You don’t need to spend your time switching cleaner with a good all-purpose cleaner. I love this homemade all-purpose cleaner. It works great on everything in the bathroom and kitchen plus it works on things like door handles & light switches. The vinegar will kill off germs and bacteria and the lemon essential oil helps break up any grease or grime. One of the simpler tips to clean your house fast is to get on a cleaning schedule. If you do a little work every day it is easier than saving the chores until the rooms get really messy. Spending a few minutes each day wiping down the bathroom saves you from spending hours trying to get the bathroom clean. If you don’t have a cleaning schedule you can check out my routine here. I try to do a little each day to make the big tasks go faster. If you have pets you know how much hair they can leave around the house. One of the easiest cleaning shortcuts is to skip vacuuming up all the pet hair and use a rubber glove instead. Just take a rubber glove ( I like these from Amazon) and get it damp. Then run it over the furniture or clothes that have the pet hair stuck to it. The pet hair will cling to the damp glove. It is so easy and saves a lot of time. Don’t spend your time scrubbing away at soap scum. 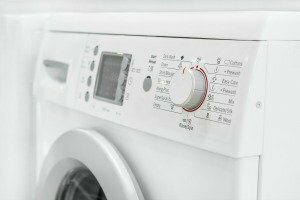 Get rid of it fast with these easy tips on getting rid of soap scum. This mixture breaks it up so you don’t have to spend your time scrubbing. It’s an easy cleaning shortcut you will love. Don’t spend all of your time putting things up. Use a basket to quickly go room to room and gather up what doesn’t belong. It only takes a few minutes and makes the house look so much cleaner. As you move from room to room you can put things away that go in that room and gather up what doesn’t. If you get in a real pinch for time you can just spend a few minutes gathering up everything and put it in the basket, save putting everything away for when you have more time. I hate ironing! It takes so much time, however since we can’t be running around in wrinkled clothes here is an awesome cleaning shortcut. Skip the ironing and try this easy homemade wrinkle releaser. It only takes a few minutes to make and then you can spray your clothes instead of ironing. It can be a huge time saving, especially if you hate ironing. Don’t spend all your time running around gathering cleaning supplies. Use a cleaning caddy to store everything in one spot. Then when you are ready to start cleaning the house you can grab your caddy and start cleaning. Store things like your favorite cleaners, some microfiber cloths, and scrub brushes in a cleaning caddy for easy use. It really is a big time saving. So save yourself some time and frustration with these awesome cleaning shortcuts. You will love these easy ways to clean your house in less time. Want some other cleaning hacks? Check out these tips on speed cleaning the bathroom. P.S. For more cleaning tricks and frugal tips delivered to your inbox subscribe here! Subscribe (free!) to my newsletter and as an added bonus I will send you this free weekly cleaning checklist. Success! Now check your email to claim your printable. 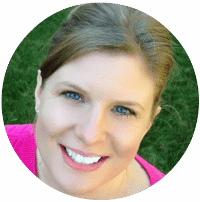 Welcome to Frugally Blonde! 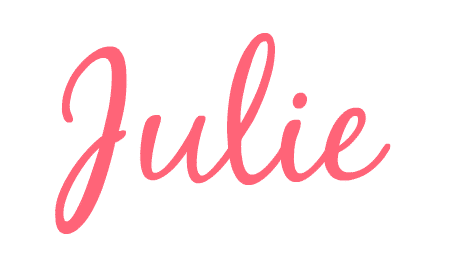 I’m Julie. 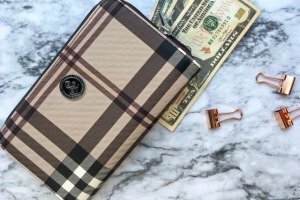 I love sharing the best cleaning hacks, organizing tricks, & money saving tips. Read More…. Success! Now check your email for next steps. Tired of dinner time chaos? Use this free meal planner to save money and your sanity! Clean your home in under 30 minutes a day with this free weekly cleaning printable!